Save the Alpacas Donations Drive Ended: 264 Crochet Crowd Members Stepped Forward to Help! 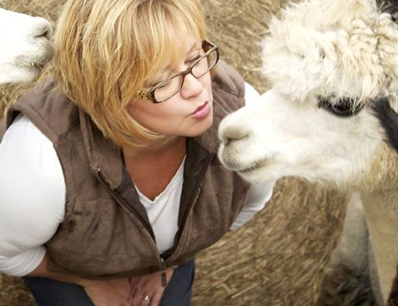 On December 26th, 2013, an Alpaca Barn collapsed under the stress of ice and snow. Though the barn was insured, it would end up that ice and snow damages were not covered by insurance. With one baby 8 month old Alpaca, Rosie, killed by one of the collapsing supports, 57 Alpacas and other farm yarn creatures were out in the cold. Having been to this farm and knowing how incredible the owners Garth and Nancy Hutchinson are, I made it a mission to try to lend a hand by rallying support to help rebuild the barn. Their farm is their life. Their animals are their family. 264 Crochet Crowd Members from around the world, which included Africa, Australia, several European Countries, USA, Canada, Mexico and many many more, rallied to offer donations to help. It will take $30,000 to rebuild the barn. Together with our community, we raised $5,031.80. This is almost 17% of the cost to build a new barn. On behalf of Diva Dan and I, I would like to take this opportunity to express our deepest gratitude for your help. Most donations were between $5 – $15 dollars. Donations as low as $1 to as high as $100 were given. Every dollar counts and we appreciate it greatly. We raised $5,031.80 USD to help rebuild the barn! As promised, 100% of the donations will be sent to Nancy and Garth Hutchinson. Our donation drive is officially closed. This entry was posted in Announcements, Charity Projects & More and tagged 1st Alpaca Farm, crochet crowd, Donations, Nancy Hutchinson, Ontario, Raise the Barn. Bookmark the permalink. 5 Responses to Save the Alpacas Donations Drive Ended: 264 Crochet Crowd Members Stepped Forward to Help! Glad to help. Good effort Crochet Crowders!